Rangers new signing Lassana Coulibaly had admitted the lure of playing under manager Steven Gerrard made his decision easy to move to Ibrox. The 22-year-old, subject to international clearance, has joined Gers on a season-long loan deal from French top flight outfit Angers. Coulibaly has become Gerrard's eighth signing of the summer, as Rangers look to put real pressure rivals Celtic for the Scottish crown. Mali international midfielder Coulibaly is looking forward to getting started at Ibrox and having the chance to work under Gerrard. "I'm very happy to be here," Coulibaly told Rangers TV. "When my agent said that Gerrard is the head coach, I said, OK, no problem, and then I was happy to come and join this team. "He can help me to develop my football. When he was at Liverpool, I grew up watching him. 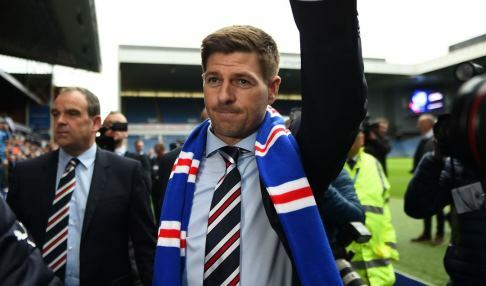 "Rangers is a good team, I'd heard the name before Gerrard came in here. I don't watch the league, but I know about Celtic and Rangers in Scotland. "I play midfield, I'm strong and physical and I can get the ball from the opponent for my team." Rangers are 100/1 to win the Scottish Premiership title next season, while rivals Celtic are 1/1000 to take the title.